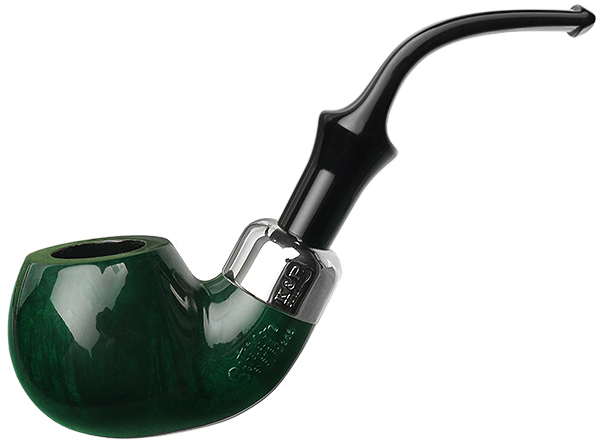 Peterson's "303" bent Apple (showing a little more heel than its sister "302") is, like all Peterson shapes beginning with the number 3, a System pipe. So what, you ask? Because in the 21 years Peterson's carrying out its annual releases of St. Patrick's Day pipes, they've never done one up in the System line. And going above and beyond this year for the holiday, it's finished in green. Note, this particular iteration wears a fishtail mouthpiece.